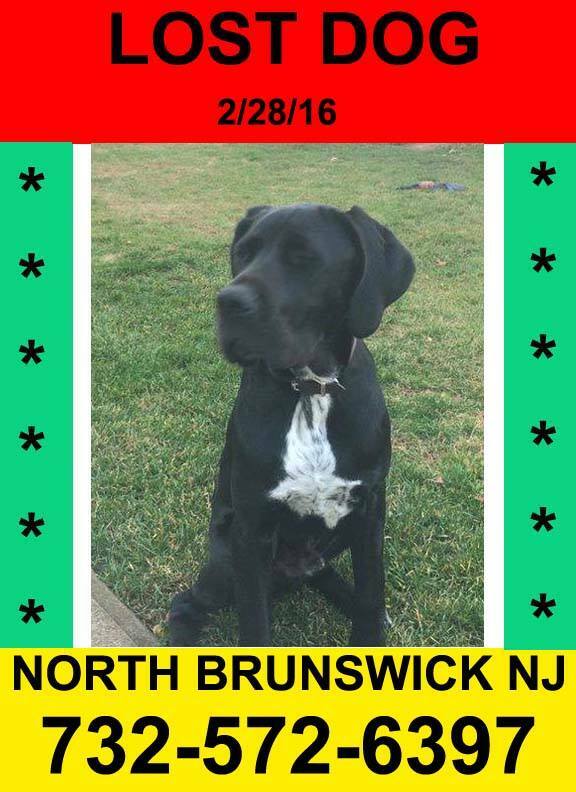 9 months old – mastiff lab -heading north bound on Route 130 near Renaissance Blvd. He is wearing his harness and leash. Please contact Garry or Debbie at 732-572-6397 or 732-754-4958.